'My Art is Female' was born in 2015 as a twelve artworks series by Francesco Zavattari about violence against women and gender equality. Although the activity of the Italian artist is not addressed to political and social messages, this has always been an important subject to him. My Art is Female beginning and very development took place in Portugal, thanks to the Association UMAR (União de Mulheres Alternativa e Resposta), the project Art'themis, the CIG (Comissão para a Cidadania e a Igualdade de Género) and the Portoguese Government itself. Zavattari's art reached schools and public spaces in Porto, Matosinhos, Braga, Coimbra, Vila Verde e Penafiel with personal exhibits and educational meeetings. 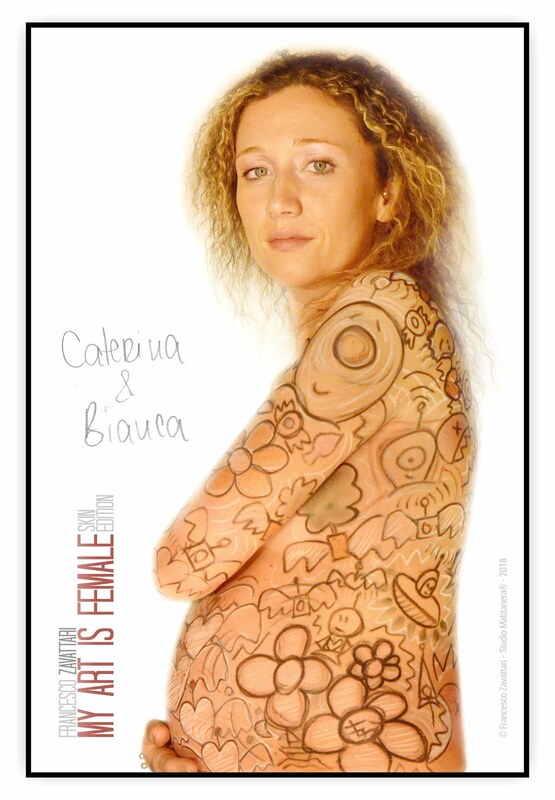 Now My Art is Female is evolving with the 'Skin edition': a photos' series of different women, whose skin will be drawn by Zavattari. A new expressive concept's manifesto: nothing but art and color on a woman's body.